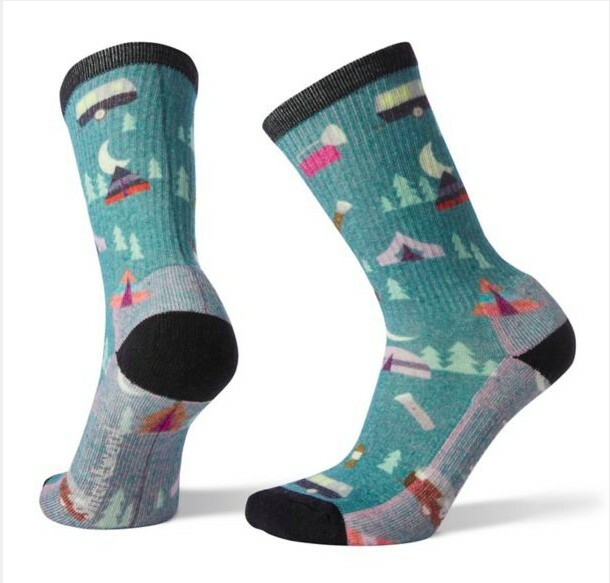 Summer nights lead to cozy feet at sunset, thanks to the Women's Hike Light Summer Nights Print Crew. Summer nights lead to cozy feet at sunset, thanks to the Women's Hike Light Summer Nights Print Crew. Light, half cushion is perfect for moderate hiking or for relaxing around the campfire after you've dropped your pack for the day. An arch brace helps to hold the sock in place and provides additional support.